LOS ANGELES, Calif. /California Newswire/ — Coach Michael “Mike” Miller has been recognized by the California Basketball Association for being the first coach in California history to win State Titles at the high school and Community College levels announced the California Basketball Association. Coach Miller is also the youngest coach to ever win a state title at the high school level and community college levels. Coach “Mike” Michael Miller led his Ribet Academy boys’ basketball team to a division V state title in the Oakland Coliseum in 1991. Coach Miller was 27 years old and already in his fourth year of being a high school varsity head coach. 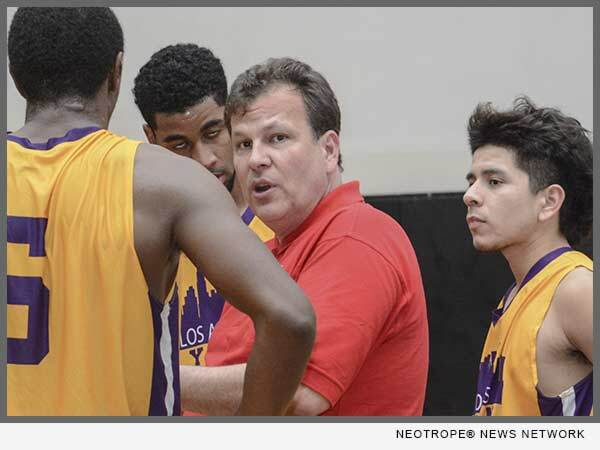 Six years later a 33 year old coach Miller led his Los Angeles City College Cubs to a state title at the community college level. In doing so coach Miller became the first coach to ever accomplish this duel feat. Again, the location was Northern California, this time at San Jose State University over the local team from San Jose City College. Coach Miller was not only the first coach to win state titles at the high school and community college levels but also the youngest coach in California history to do so. After Coach Miller achieved this unique accomplishment, a second coach, Reggie Morris completed the dual achievement. Coach Morris won his high school state title at Manual Arts high school and his community college championship at LA Southwest College. As of this time they are the only two coaches to ever complete this feat. Currently Coach Miller is coaching a professional team in the California Basketball Association and Coach Morris is retired from coaching.